Stay Informed. Stay Safe. Check for Product Recalls. When buying and using products, safety comes first. However, millions of people are injured each year by consumer products. Georgia Injury Lawyers Montlick & Associates has created this guide that outlines many ways you can help keep your family safe from dangerous products. Our goal is to make sure that parents know about all the tools available to help keep their family safe. 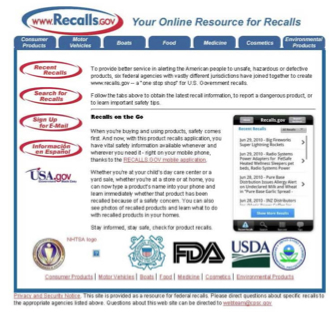 Recalls.gov is a “one stop shop” website for U.S. Government recalls, that alerts the public to products that they have determined to be unsafe, hazardous or defective. Search for products most recently recalled by category. Search for specific products by category. Report a product that you feel is either defective or unsafe. Sign up to receive free recall alerts to your email for particular categories. Download the mobile application to get vital safety information right on your mobile phone. For those always on the go, you can have vital safety information available whenever and wherever you need it ‐ right on your mobile phone thanks to the product recalls.gov mobile application. Whether you’re at your child’s day care center or a yard sale, whether you’re at a store or at home, you can now type a product’s name into your phone and learn immediately whether that product has been recalled because of a safety concern. You can also see photos of recalled products and learn what to do with recalled products in your homes. These are just a few things you can do to protect your family from product-related injuries. 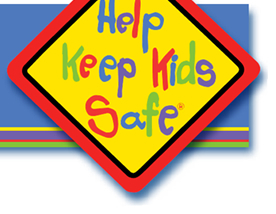 Please visit Montlick.com or HelpKeepKidsSafe.org and click on “Family Safety and Legal Tips” to see our latest safety videos and downloadable materials, and to register for Free Safety Alerts.